Much has been written about the use of the War on Drugs to intentionally disenfranchise poor people and engineer the centralization of political and economic power in the U.S. and globally, including an explosive rise in the U.S. prison population. The purpose of this story is not to repeat this fundamentally sound thesis. For those who are interested in more on this topic, I would refer you to my article and audio seminar Narco Dollars for Beginners as well as Michael Woodiwiss book Organized Crime and American Power (University of Toronto Press, 2001) and their associated bibliographies. Harvard trained supporter of significant increases in enforcement and private prisons. The potential impact on the private prison industry was significant. With the bill only through the house, former Attorney General Benjamin Civiletti joined the board of Wackenhut Corrections, which went public in July 1994 with an initial public offering of 2.2 million shares. By the end of 1998, Wackenhuts stock market value had increased almost ten times. When I visited their website at that time it offered a feature that flashed the number of beds they owned and managed. The number increased as I was watching it  the prison business was growing that fast. 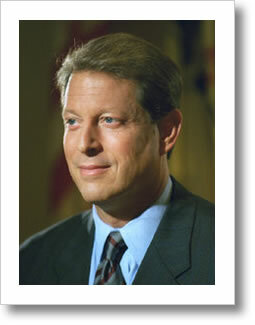 On February 4, 1994, U.S. Vice President Al Gore announced Operation Safe Home, a new enforcement program at HUD. Gore was a former Senator from Tennessee. His hometown of Nashville was home of the largest private prison company, Corrections Corporation of America (CCA). He was joined at the press conference by Secretary of the Treasury Lloyd Bentsen, Attorney General Janet Reno, Director of Drug Policy Lee Brown and Secretary of HUD Henry Cisneros who said that the Operation Safe Home initiative would claim $800 million of HUDs resources. Operation Safe Home was to receive significant support from the Senate and House appropriations committees. It turned the HUD Inspector Generals office from an auditor of program areas to a developer of programs competing for funding with the offices they were supposed to be auditing  a serious conflict of interest and built-in failure of government internal controls. According to the announcement, Operation Safe Home was expected to "combat violent crime in public and assisted housing." As part of this program, the HUD Office of Inspector General (OIG) coordinated with various federal, state and local enforcement task forces. Federal agencies that partnered with HUD included the FBI, the Drug Enforcement Agency (DEA), the Bureau of Alcohol, Tobacco and Firearms (ATF), the Internal Revenue Service (IRS), the Secret Service, the U.S. Marshal's Service, the Postal Inspection Service, the U.S. Customs Service, the Immigration and Naturalization Service (INS) and the Department of Justice (DOJ). The primary performance measures reported in the HUD OIG Semi-Annual Performance Report to Congress for this program are the total number of asset forfeitures/seizures, equity skimming collections and arrests. Subsequent intra-agency efforts such as the "ACE" program sponsored by DOJ and initiated by U.S. Attorneys Offices, working with the DOJ Asset Forfeiture Fund, HUD OIG and HUD Office of General Counsel promoted revenue generating activities as well. In the middle of last year, the White House sent its proposal to privatize prisons to the Justice Department, where it was greeted with a frosty response, according to officials involved in the discussions. "To help overcome the resistance of senior officials at the Justice Department and the Bureau of Prisons, the plan's architect at the White House, Christopher Edley Jr., asked Mr. Gore's office to turn up the heat. "Mr. Edley, an associate director of the Office of Management and Budget, enlisted the aid of Ms. Kamarck, Mr. Gore's senior policy adviser overseeing his government review. She then called her friend, Ms. Gorelick, the Deputy Attorney General, who oversees the day-to-day operations of the Justice Department. Cornell Corrections was one of the beneficiaries of Chris Edley, Elaine Kamarck and Jamie Gorelicks efforts. According to Cornells 1996 Prospectus (the offering document provided to investors) filed with the SEC, after building a capacity of approximately 1100 beds over a five year period, Cornell in a nine month period was suddenly blessed with a feeding frenzy of new contracts, contract renewals and contract acquisition approvals that nearly tripled their capacity  all from the Federal Bureau of Prisons at the Department of Justice. The acquisition of the Big Spring, Texas facilities from MidTex, signed in February of 1996 and closed in July 1996 brought on board Charles J. Haugh to be Cornells Director of Secure Institutions as of May 1997. 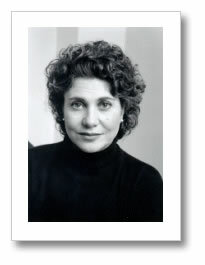 Haugh had most recently been the Executive Director of MidTex. From 1963 to 1988, Haugh had served in numerous capacities for the Federal Bureau of Prisons at DOJ, including Special Assistant to Director Administrator of Correctional Services Branch, Associate Warden, Chief Correctional Supervisor and Correctional Officer. Federal officials say they are comfortable with letting private companies run Federal prisons because the industry has become mature, gaining experience running state and local jails. But Federal officials have also grown comfortable with the prison industry because its ranks now include many former colleagues as senior and other law-enforcement officials have taken positions at private corrections companies, Washington's latest revolving door profession. "The industry leader is the Corrections Corporation of America, a 12-year-old company based in Nashville. Some of the company's officials are former Federal prison employees, and the company's director of strategic planning, Michael Quinlan, headed the Bureau of Prisons in the Bush Administration. "Another industry leader is the Wackenhut Corrections Corporation of Coral Gables, Florida. Its directors include Norman A. Carlson, Mr. Quinlan's predecessor as the director of the prisons bureau, and Benjamin R. Civiletti, a former Attorney General. "The Acting Attorney General in the first months of the Clinton Administration, Stuart Gerson, is on the board of Esmor Correctional Services of Sarasota, Fla. Four months ago, the Immigration and Naturalization Service, a unit of the Justice Department, canceled its contract with Esmor after an uprising at its detention center in Elizabeth, N.J. An investigation by immigration officials concluded that Esmor, trying to cut costs, had failed to train guards, some of whom beat detainees. "The revolving door is beginning to work both ways. Not only has the private sector turned to former Federal officials, the Government has also started to look to industry leaders for aid in developing plans to hand new prisons over to private management. The Mr. Crane who they have hired to develop the contract is the same Mr. Crane who arranged for the prisoners to be shipped from North Carolina to Rhode Island to save Cornell Corrections and Dillon Reads municipal bond buyers. The outpouring of contracts from the Department of Justice to Cornell was very significant. When Cornell did its IPO in October of 1996, I estimate it had an implied per bed or per prisoner valuation of $24,241. Valuing the company at the IPO price, the total company value was $81 million. Without the contracts from the Federal Bureau of Prisons, the company value would have been approximately $39 million, assuming the company could have held a $24,241 per prisoner multiple or come to market at all  both unlikely in my opinion. The increase in total valuation of stock held by Dillon and its funds based on these assumptions would have been a minimum of $18.5 million. In short, the Dillon Read officers and directors invested in Cornell experienced a more than double in the increase in their value of their personal holdings of Cornell stock as a result of six months of contract decisions by DOJ and its agencies. 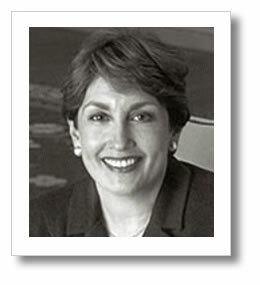 Deputy Attorney General Jamie Gorelick, who according to the New York Times article had overseen the new policy of prison privatization, left DOJ in 1997. She then became a Vice Chair of Fannie Mae, a government sponsored enterprise. This means it is a private company that enjoys significant governmental support. Fannie Mae buys mortgages and combines them in pools. They then sell securities in these pools as a way of increasing the flow of capital to the mortgage markets. The reader can appreciate why Wall Street would welcome someone as accommodating as Gorelick at Fannie Mae. This was a period when the profits rolled in from engineering the most spectacular growth in mortgage debt in U.S. history. As one real estate broker said, They have turned our homes into ATM machines. Fannie Mae has been a leading player in centralizing control of the mortgage markets into Washington D.C. and Wall Street. And that means as people were rounded up and shipped to prison as part of Operation Safe Home, Fannie was right behind to finance the gentrification of neighborhoods. And that is before we ask questions about the extent to which the estimated annual financial flows of $500 billion$1 trillion money laundering through the U.S. financial system or money missing from the US government are reinvested into Fannie Mae securities. 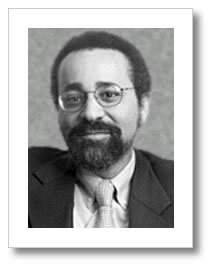 It is important before closing this description of Cornells extraordinary good fortune with the Federal Bureau of Prisons and DOJ in the fall of 1995 and the spring and summer of 1996 to provide some additional context. During this period, America was in the middle of a Presidential election. Bill Clinton and Al Gore were running for their second term. Dillon Read was a traditionally Republican firm, with the largest Dillon investors in Cornell giving generously to the Republican Party as well as to the Dole-Kemp campaign, whose campaign manager, Scott Reed, had been Kemp's chief of staff at HUD and then Executive Director of the Republican Party. The corporate ancestry and relations of Cornell  Bechtel, Houston, their auditor, Arthur Andersons Houston office, their attorney, Baker Botts, and their construction company, Halliburton/KBR  are ties all deeply associated with the Bush family and Republican camp. If you want to see a bi-partisan system at work, follow the money. In the middle of a Presidential election, a Democratic administration engineered significant equity value into a Republican firms back pocket. If you step back and take the longer view, however, what you realize is that many of the players involved appear to have connections to Iran Contra and money laundering networks. A surprising number of them went to Harvard and other universities whose endowments are significant players in the investment world. And as it turned out, while the U.S. prison population was soaring from 1 million to 2 million people and US government and consumer debt was skyrocketing, Harvard Endowment was also growing  from $4 billion to $19 billion during the Clinton Administration. Harvard and Harvard graduates seemed to be in the thick of many things profitable.